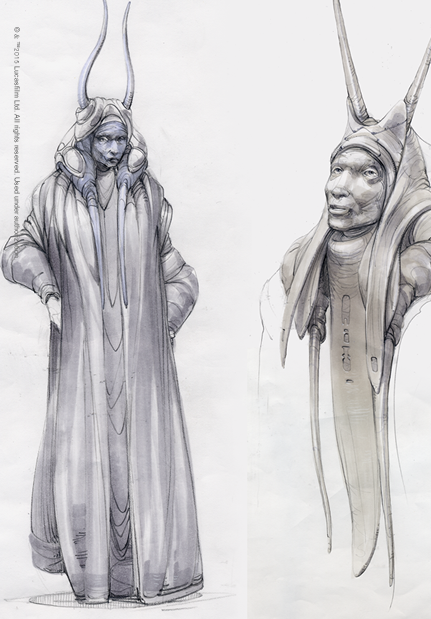 The characters populating the Galactic Senate, the galaxy’s republican governing body, represent the wide spectrum of planets and cultures that make up the Star Wars™ universe. 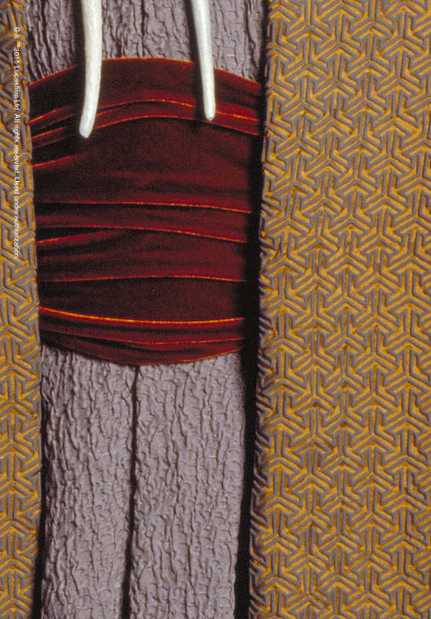 Using costumes, masks, props, make up, and other visual details, the costuming department worked closely with the art department and set designers to invent representatives of these many worlds. They worked together to create a fantasy universe of characters that appear timeless, yet still evoke a singular identity for the many different cultures they represent. 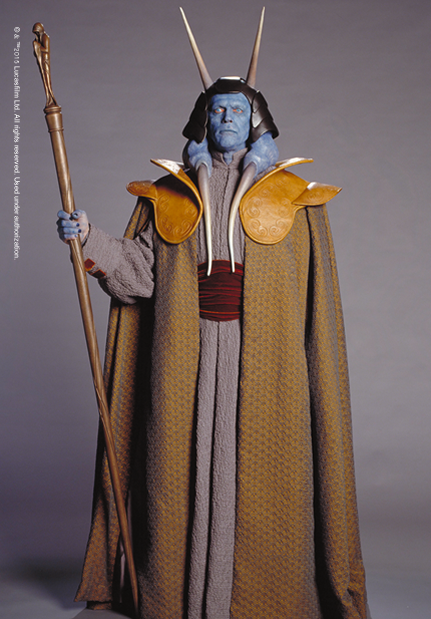 Mas Amedda, the vice chancellor of the Galactic Republic, brandishes his ceremonial staff as he represents the watery world of Champala.